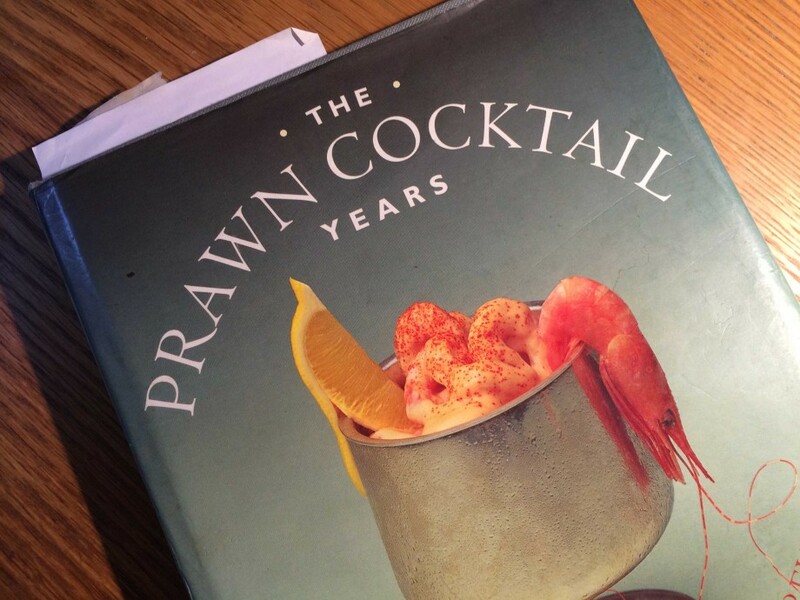 For many years now, I’ve claimed that my favourite cook book of all time has to be The Prawn Cocktail Years by Simon Hopkinson and Lyndsey Bareham. It’s true, I love that book. It’s not just that it’s full of delicious, well thought out, recipes; I love the underlying premise too. There are so many dishes that we once regarded as great. We loved them; they were the things we went out to eat for. But over time, our palates got jaded. New things bustled in and ousted the old, familiar meals. Where we could still find the old dishes, they were often sloppily and lazily done. They became a joke. The Prawn Cocktail Years aims to set that right. It takes those once-loved dishes and recreates them. This is food done properly, with care. It’s not about trying to be fancy or pretentious. You’ll find no ‘deconstructed lasagne’ or ‘lamb with a reduction of rosemary and lavender jus’ here. Instead, the authors take our classic dishes, they figure out what it was about them that made them work, what it was that made them successful, and then they present them at their finest. The recipes in this book show us just how we should be cooking. A couple of weeks ago, I was leafing through The Prawn Cocktail Years looking for something to make. It suddenly occurred to me that for a book I regarded as my all time favourite, there were still an awful lot of recipes in there that I hadn’t tried yet. That was it, the moment of revelation. I knew what I had to do. I was going to cook every single recipe in The Prawn Cocktail Years. Well, if Julie Powell could do it for Julia Child, I could surely do it for Simon Hopkinson and Lyndsey Bareham. Now, I’m under no illusions here – I doubt very much that as a result of this exercise, we’ll see a film starring Meryl Streep as Simon Hopkinson in the near future (although I’d definitely pay good money to see that!). I am pretty sure though, that by doing this, I’ll get to eat an awful lot of good food. So, this is my self-imposed challenge: to cook every recipe in The Prawn Cocktail Years and post details here. I won’t post the recipes for each dish – if you want the full recipes, you should buy the book (trust me, you won’t regret it) – but I will post photos of the process, and my thoughts on how successful they were. I’m not going to set a strict deadline for this, but I feel I ought to set some expectations. There are a total of 140 recipes in the book (you can see them all here). I aim to cook at least one per week. I’m pretty sure that some weeks I’ll manage more than one, but things like holidays and other commitments will undoubtedly disrupt that schedule a little. I feel that trying to do them all in a year would be a little optimistic, but taking two years would be lazy. Let’s aim for around eighteen months. I should note that the person who really started me off on this course was a Julia. Not Child, but Charlesworth. Many years ago, my wife and I went to dinner with Julia and her husband, Richard. If I remember rightly, she cooked Chinese Red Roast Pork and Singapore Noodles, both from the Food Aid Cookery Book. They were delicious. After the meal, we spent some time talking about cooking, and she eagerly showed me her current favourite cook book. That was, of course, The Prawn Cocktail Years. I looked through it, and was immediately hooked. I bought my own copy very soon afterwards. This is all her fault. The Prawn Cocktail Years is divided into chapters, each devoted to an era in our recent culinary history, from ‘The Fifties Hotel Dining Room’ through ‘The Sixties Bistro’ and culminating with ‘Chez Gourmet’. The opening chapter, however, is rather special: ‘The Great British Meal Out’. Three recipes, representing the iconic British meal: Prawn Cocktail, Steak Garni and Chips, Black Forest Gâteau. That’s how the book opens, and it seems an appropriate way to kick off this blog. So, this weekend, I shall cook that meal. Ah, I knew I’d end up regretting that statement. I’m not giving up, I can and will do it. I’m not sure what happened the past few months – I’ve still been cooking, just other things. I do still have one meal to write up. Over the holiday season, I should have some spare time without other distractions, so I’ll aim to use that to catch up and kick start a new bout of cooking here!